Tetanus is a potentially serious medical condition. Often called “lockjaw,” tetanus is caused by a bacteria that attacks your nervous system. Because there’s a vaccine for tetanus, cases of it have become increasingly rare. The best way to protect yourself is by getting vaccinated and staying up to date on your tetanus boosters. It may also be helpful for you to know a little bit more about the causes and symptoms of this disease. If you contract tetanus, it’s important to understand that you cannot be cured. The disease must run its course. While you can recover, tetanus may be life threatening. Know how to protect yourself and your loved ones from this disease. One of the most alarming things about tetanus is how easily it can be contracted if you don’t take steps to protect yourself. The bacteria that causes tetanus is found in common places, such as soil and dust. This bacteria infects an open wound and attacks your nervous system. Body spasms you experience can often be painful. They may even be triggered by slight changes in your environment, such as a gust of wind or a loud noise. If you experience these symptoms, get medical help right away. As complicated and dangerous as tetanus can be, it’s easy to prevent with proper immunizations. Tetanus boosters are recommended every 10 years. Also, be sure to sterilize any open wounds as soon as possible, and get medical attention if you suspect you may be experiencing the symptoms of tetanus. Getting your tetanus booster is fast and convenient at your local FastMed Urgent Care. We provide vaccinations for children and adults at our clinics. We have locations across the state, and we’re open 365 days a year. 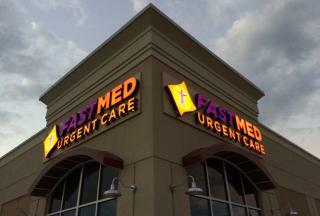 Find the nearest FastMed to you and come see us today. And be sure to like us on Facebook to receive health-related news and updates right in your newsfeed.